Is it time to grow out a pixie cut? Here’s how to do it without losing your mind! So, we’ve hit the point in the year where basically every woman is either considering cutting her hair or has already done it. It’s hot. It’s humid. No one wants to deal with a tangled mess of hair in the middle of July. So lots of women have decided to take the plunge and get a pixie cut. Related post: Need some ideas for that pixie cut? Here are 11 pixie haircut ideas. All of a sudden, it’s October, and while this haircut may have seemed like a good idea at the time, some are now regretting it. So, how do you grow out your pixie cut and not have the urge to cut it all off again? You’re about to find out. Invest in headbands, clips, etc. When you have a pixie cut, there’s only so much you can do with your hair. If you have bangs, you can pin them back. If it’s long, you can curl or straighten it. But if you have neither, you’re a little bit out of luck. But never fear! Headbands are here. Use this time to find some cute headbands, scarves, clips to make the hair growing process slightly less painful. Having cute accessories will make having short hair a lot more fun. I promise. These floral head wraps are gorgeous! Bobby pins are your friend. If your pixie is a bit longer or you have some uneven layers, you may be able to use bobby pins to accessorize as well. Just twist and pin sections of your hair back, and voila. A new hairstyle. Plus, the longer sections of your hair are now completely out of your face. Shop Wal-Mart, Target or Amazon to find some cute ones. Find products that will help it grow. While you’re patiently waiting (or not) for your hair to grow out, be sure to find a product or two that make your hair healthy and accelerate the growing process. You don’t want to get to November or December and realize your hair hasn’t grown at all. You can go natural with coconut, olive, or jojoba oil, or you can ask your stylist what hair products can help condition your hair and get it to the length you want it. Also, give your head a massage with your fingers for five minutes every day. It’ll help the growing process even more. 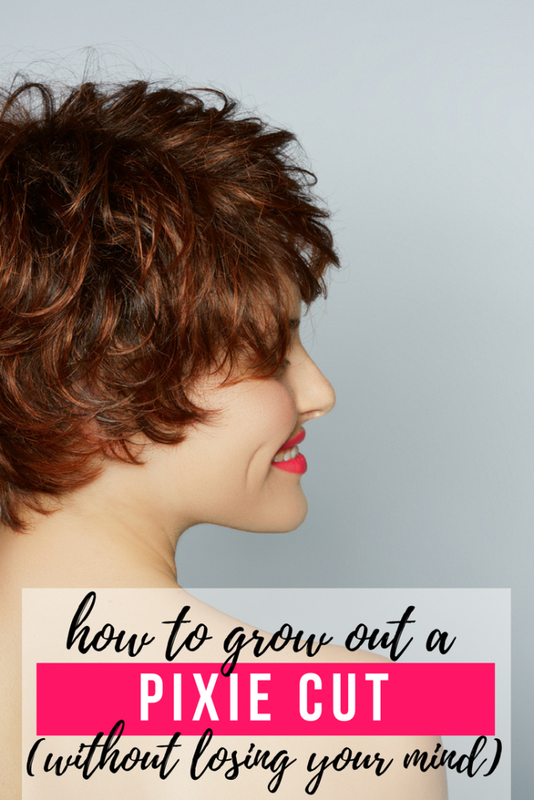 Related post: Read the Mom Fabulous ultimate guide for how to grow your hair fast. Are your uneven layers driving you crazy? Not a problem. Just use a curling wand like this one to keep your layers under control and to add volume to flat hair. Don’t forget to spray a heat protectant on your hair like this best selling one, though! Heat can damage your hair and make it even harder to grow out. Try some good old-fashioned curlers, if your pixie is long enough. Related post: Check out these tips, tricks, and tutorials on how to curl short hair. When in doubt, wear a hat. If you’re having one of those days where you just cannot do anything with your pixie cut, a hat is always there for you. Baseball hat, fedora, sunhat, you name it. Your hair will not be seen underneath the hat, and you don’t have to worry about it again until the next day. 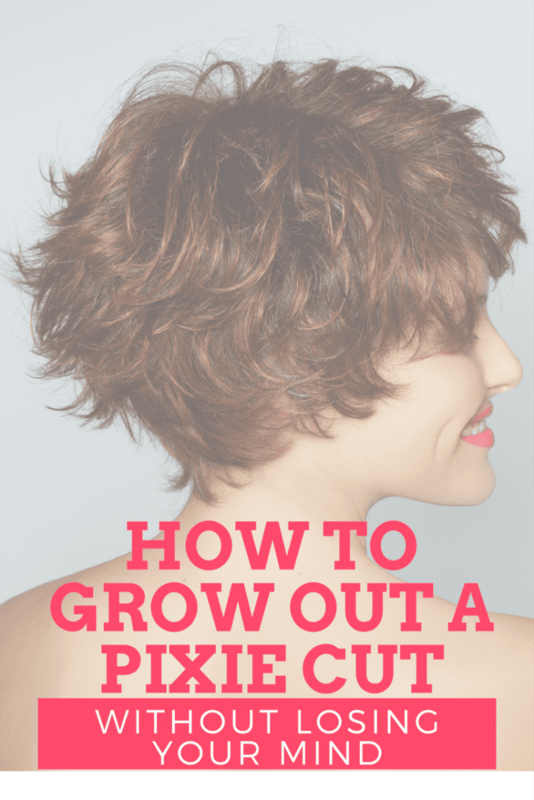 Growing out your summer pixie cut can be tough, but hopefully, these tips will make it easier and a bit more fun. Good luck! Everything You Need to Know About Medium Length Hairstyles & More!